"Analyze, Research, Innovate & Deliver is our Mantra for Excellence". Our 'Mantra for Excellence', combined with the competence and capability of our highly qualified team of professionals have propelled our business growth. Our continuous effort towards understanding the latest technology, the evolving trends and how it applies to our business have enabled us to add value to our business and to our customers. Our organisational structure is governed by transparent, ethical and sincere composition in all our business transactions. 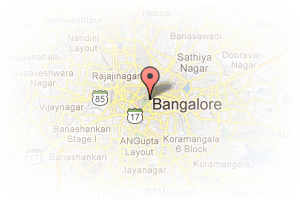 Address: #39, Ulsoor Road,Behind Mahipal Center, Ulsoor, Bangalore, Karnataka, India. 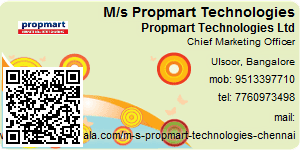 This Broker Profile page for "M/s Propmart Technologies Ltd" has been created by PropertyWala.com. 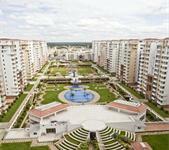 "M/s Propmart Technologies Ltd" is not endorsed by or affiliated with PropertyWala.com. For questions regarding Broker Profiles on PropertyWala.com please contact us.